A recent report by Earnst shows how graduates at the top 25 universities in the country are flocking to the west coast. 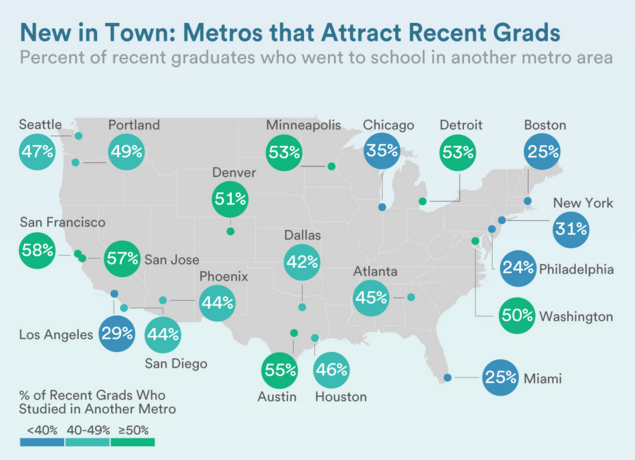 One very interesting stat is that 57% of recent grads in the San Jose Metro studied somewhere else. In comparison that number is just 31% for New York and 25% for Boston. The only Metro that beat San Jose was San Francisco at 58%.